Have you ever wondered what is the most efficient way to grow algae? Maybe you are a business developer, setting up a large-scale operation as part of a rapidly growing industry. Or, perhaps you are looking to remove carbon dioxide from combustion gases by bubbling harmful emissions through an algae system. There are many reasons and applications for growing algae. In this post, I talk about algae and how LEDs are ideal for both indoor and outdoor algae growth operations. I always start my conversation about algae by pointing out that there are more types of algae than all land plants and animals combined. In other words, algae are extremely diverse. Algae are photosynthetic organisms living in just about any ecosystem on earth where there is moisture, light, and available micronutrients. Next, I will explain the major algae categories. Cyanobacteria (sometimes called blue-green algae) are not algae! I start with cyanobacteria because these tiny photosynthetic bacteria are what I used in my PhD to study photosynthesis and carotenoid metabolism. Because they lack a nucleus, and have all the properties of bacteria, cyanobacteria are not technically algae. Cyanobacteria are photosynthetic bacteria that have some commercial advantages over algae due to their simplicity and faster growth rates. Microalgae are bigger then cyanobacteria but you cannot see individual cells, they are microscopic. Microalgae range from single cell cultures (looks like green, red, or brown water) to clusters of cells. They may clump together but they do not form a “tissue.” There are many species that make products which cannot be produced inorganically. With 100,000s microalgae species yet to be discovered, the possibilities are endless. Macroalgae are multicellular algae that can become quite large. The fastest growing organism, giant kelp, is a macroalgae, and so are marine seaweeds. Macroalgae are consumed in the diet in many cultures. The widely used industrial compound, sodium alginate, comes from brown seaweed and is used as a gelling agent in textiles, foods, and pharmaceuticals. How are algae different than plants? Algae can be distinguished from plants in several ways. The basic difference is that they lack structures such as roots, rhyzomes, and leaves. Although we are accustomed to seeing algae in bodies of water, they are abundant in soil and ocean mats. 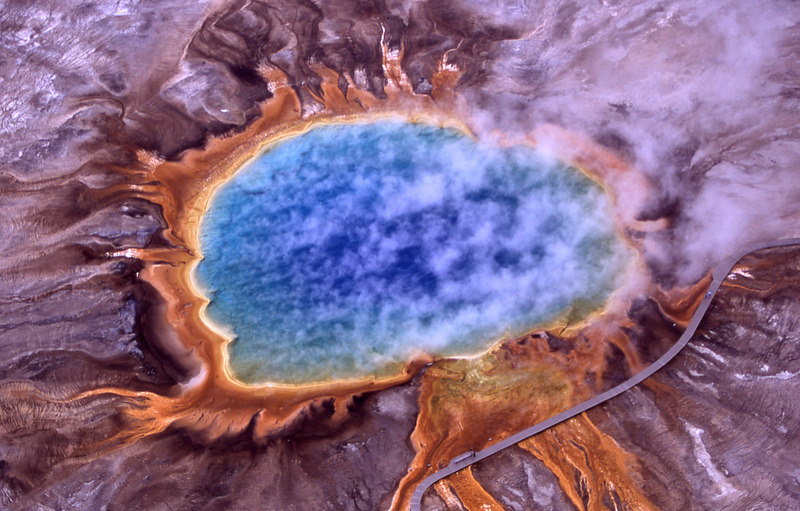 There are algae species that grow in the harshest of hot springs or on the surface of ice glaciers. What wavelengths of light should I use for my algae? Despite their difference in size and biology, cyanobacteria and algae use pretty much the same photosynthetic machinery as found in land plants. This means that the light capture at the core of the photosystems is similar. The key difference is in the cellular structures and chemistry surrounding the photosynthetic machinery . The cellular structures attached to the photosynthetic center are called the antennae. Similar to television and radio antennae, their shape and structure dictate which signals are brought in. Different algae have adapted to different light environments through the formation, or altering, of light-capturing pigments within the antennae. One way to understand what wavelengths of light are likely to be utilized by a specific alga is to extract and analyze the pigments which are integrated into the structure of its antennae. In addition to differences in the wavelengths captured by the antennae, the amount of biomass outside of the photosynthetic machinery can have an effect on the wavelengths utilized. In a recent lecture at the University of Arizona , I gave an example of this by showing that cyanobacteria, with very little biomass, absorbed only the basic pigment-related wavelengths. A strain of green algae, with more surrounding biomass, absorbed a wider range of wavelengths than the cyanobacteria. And finally, a plant canopy absorbed the broadest wavelength spectrum due to the additional cells and leaf tissue. Why use LEDs with algae? There are many reasons LEDs are ideal for lighting algae cultures. Just like in greenhouses, outdoor systems are at the mercy of available sunlight – which can change depending on the weather or time of year. In order to maintain optimal productivity, growers must install lighting systems. Legacy lighting such as high pressure sodium, metal halide, or fluorescent light, have harmful chemicals that could contaminate the ponds if they were to break. Also, these lights have wavelengths that are not ideal for photosynthesis and they are energetically inefficient. Low profile LED systems with the appropriate wavelengths are safer, increase growth rates, and are significantly cheaper to operate than legacy lighting. One of the major challenges for outdoor commercial production of algae is maintaining a mono-culture. Some outdoor ponds can quickly become contaminated with other algae or microorganisms. For this reason, many commercial growers used contained systems. These can be tubes stacked outside or indoor reactor systems. Either way, these photobioreactors require light, and the light must be able to penetrate the water. Different wavelengths have different attenuation, which is the drop-off of intensity through water. In the visible spectrum, blue has the highest attenuation. The attenuation can change based on the growth of the algae culture and certain wavelengths may become newly limiting. The only way growers can control what wavelengths they provide is by using LEDs. LEDs allow growers to determine the best spectrum for their culture conditions, for the species they are growing, and also for the density and developmental stage of the culture. Where can I learn hands-on how to cultivate algae? Researchers and practitioners that specialize in algae are called “phycologists”. There are centers around the world run by phycologists where people can order starter cultures. In fact, I did my PhD under a famous phycologist, Dr. Jerry Brand, at one of the world’s largest algae culture centers, UTEX. Aside from maintaining these diverse organisms, UTEX and other centers offer hands-on workshops to learn more about classification, culturing, and contamination issues. More information is available on the website for UTEX workshops . Algae are remarkably diverse. As more are discovered and understood, micro- and macroalgae could be sustainable sources for food and chemicals. In addition to industrial application of algae, there is great scientific value in researching algae to learn about alternate cellular mechanisms, gene expression, and new forms of reproduction. LEDs offer the versatility to deal with specific light-capturing variations in algae as well as the need to adjust for light attenuation. LEDs are also safer and more efficient than traditional lighting sources. Growers need to carefully select LED fixture providers that offer quality components, waterproof seals, and high quality standards. Illumitex has these attributes and is excited to be working with different types of algae growers around the world. Illumitex is based in Austin, TX and builds fixtures on-site, allowing the resources and flexibility to customize LED solutions for any algae application. As a “phycologist” I couldn’t be more excited about the future of Illumitex and algae. Contact Illumitex today for questions about your algae lighting application by selecting the support tab on our website, Illumitex.com. The photosynthetic machinery I am referring to is oxygenic photosynthesis. This is the transfer of light energy into the formation of sugars. The by-product of this process is the consumption of carbon dioxide and the release of oxygen. Earlier this year I discussed light, light capture, and photosynthesis in Part 1.1and Part 1.2 during a conference presentation on 2/19/16 at CannaCon Seattle, WA. The effect of biomass on spectrum was discussed in Part 2, Presented 3/22/16 at the Controlled Environment Agriculture Center (CEAC) Greenhouse Short Course.